What is a growth plate? A growth plate (or "physis" in Greek) is the area from which your child's bone grows. Almost every bone in the body has at least one growth plate. The only bones which do not have a physis are bones that develop from membranes, such as most of the bones in the skull. The physis is made up of cartilage cells and these cells replicate and grow in size. As they grow, they move the part of the bone above the physis (the epiphysis) away from the bone below (the metaphysis). As the cells mature, they die and are replaced by bone. Thus it seems as if the bone itself is growing. Eventually, the cartilage cells lose their ability to divide and are completely replaced by bone, a point known as "skeletal maturity." This happens in adolescence and is around 14 1/2 years for girls and 17 years for boys. Not every bone stops growing at the same time. For instance, the clavicle continues to grow in boys until about the age of 21 years. Even the bones in your foot and wrist (called "cuboid" bones) have a physis. In these bones the physis completely surrounds the bone. How can growth plates be injured? Growth plates can be injured by a number of mechanisms. The two most common are infections and fractures (a break in the bone that includes part or all of the growth plate). Infection can injure a growth plate especially in newborns, because there are blood vessels that go across the physis. These vessels are conduits that can allow bacteria to enter and destroy the cartilage cells. This is why infections in neonates (newborn babies) are so concerning. As the child gets older (about 1 year of age), those blood vessels disappear, and the physis becomes much more resistant to infection. The other common mechanism is fracture. Fractures through the physis often occur in children because it is the weakest part of the bone. The particular bone and the amount of force that causes the fracture determine which bones are more at risk. For instance, the distal radius (wrist) is perhaps the most common growth plate injury in children, but rarely results in abnormal growth (or "growth arrest") because the amount of force required to fracture there is small. Most are from falls at standing height. 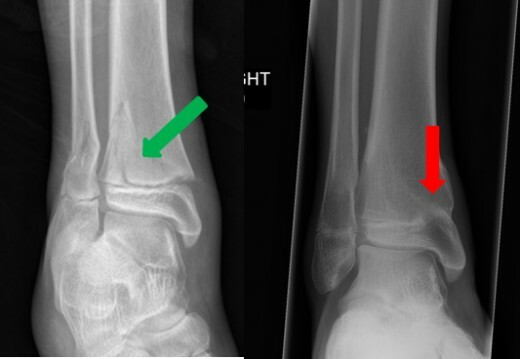 Another growth plate frequently injured but rarely affected is the distal fibula (outside part of the ankle). Again, it is a small bone that is usually injured with minor force. Other bones are much more prone to damage of the growth plate and may result in a growth arrest, either by healing with bone across the plate (a bar) or by simply injuring the growth cartilage cells themselves. An example of a growth plates with high risk of arrest is the distal femur (just above the knee). This growth plate is very wide and requires a considerable force to fracture. Other causes of growth plate injury are listed in the following table. Growth plate injuries are usually categorized by the parts of the bone involved and the direction of the fracture. The most commonly used classification is called the Salter-Harris classification. It breaks injuries down into 5 types. Again the joint surface is involved. 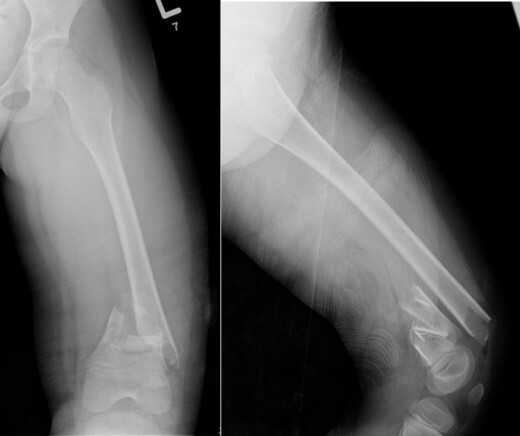 This fracture has a higher risk of growth arrest. What can I do to avoid a growth arrest? Talk to your physician. Most children with growth plate injuries should be treated by a pediatric orthopaedic surgeon. These are orthopaedic surgeons that specialize in children's injuries and other bone and joint problems, and know which injuries are really at risk and which are not. They can evaluate your child and determine the risks and advise you about the best type of treatment. Ask your pediatrician or emergency room physician to refer you to a pediatric orthopaedic surgeon. A good place to find one is at your local Children's Hospital or you can locate one at POSNA.org. How are growth plate injuries treated? The best chance for normal growth after the healing of a fracture through the growth plate is getting the growth plate perfectly lined up (surgeons often refer to this as "anatomic alignment." This is no guarantee, however. 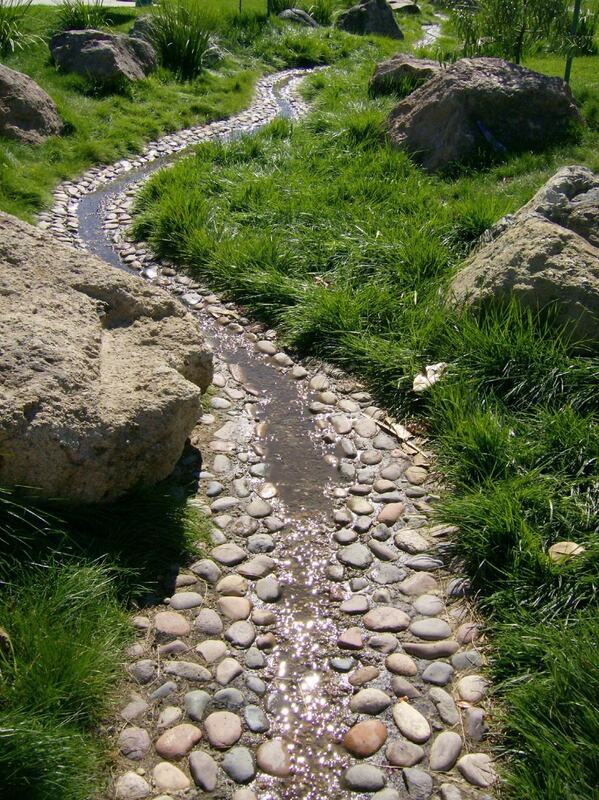 Even if perfectly aligned, damage to the growth cells may have occurred at the time of injury. Your surgeon may recommend a closed reduction, in which the bone is pushed back into place and a cast is applied to hold it in that position. Sometimes they will recommend an open reduction with internal fixation (referred to as "ORIF"). 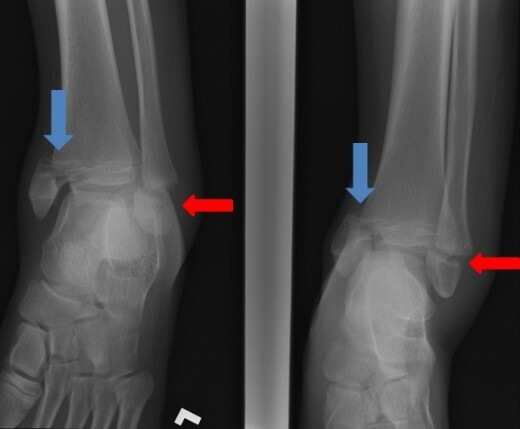 This is much more common when the fracture involves the joint surface (such as a type III or type IV), or in bones that require a significant force to fracture (like the distal femur). However, some fractures such as some of those in the distal radius will do just fine even if not perfectly lined up. That is why having the expertise of a pediatric orthopaedic surgeon is so important. He can guide you regarding appropriate treatment. The largest children's orthopaedic society in the world, with physicians committed to the treatment of children with bone and joint problems. A leader in pediatric care and the only level 1 pediatric trauma center on Long Island. Thank you. I'm hoping most parents will find it helpful to understand. This is a very common concern we see in the office. Very interesting. You have really put some work into this. Very informative. Voted up.